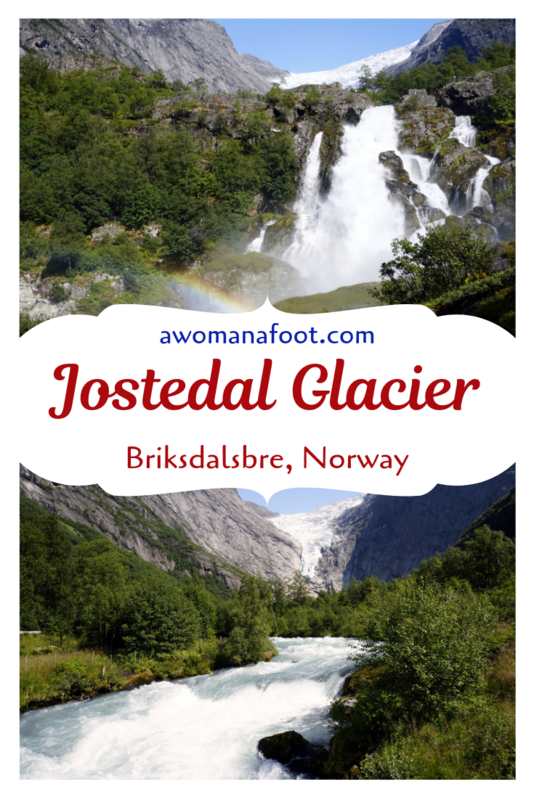 Jostedal Glacier (Jostedalsbreen in Norwegian) is the biggest glacier in continental Europe. It might seem that the only way to see it must be some strenuous and technical trek. The good news is, you can see some of it even if you are not a hiker. You can drive to parking near one of its arms and either walk a pretty wide path or if that's too much - get a ride with an electric car. Last summer I spent in Norway. Most of it I hiked, and wild camped solo and had the time of my life. But I am not a hiker ready to cross a glacier. You need appropriate gear, skills, and experience to move anywhere close to such area. I am happy that I spent the rest of my stay in Norway with my dear friend, who took me for car rides. The car ride itself is something else in Norway. The views are stunning, and many times you drive along a fjord! Note: This post, in addition to some awesome tips and advice, may contain affiliate links to respected retailers for your convenience. It means that if you buy anything through those links, I receive a tiny commission at no extra cost to you. Thank you for your support! One of the trips we went on, was a drive to the Jostedalsbreen Glacier. We chose the easy way in by going to Briksdalsbre. This is a very popular place with tourists, and I can quite understand why. The glacier is part of the Jostedalsbreen National Park and covers about one-third of its total area. In addition to Jostedal Glacier, there are a few smaller ones in the Park. It stretches between two famous fjords: Sognefjorden and Nordfjord, between Bergen and Alesund. The Park is a fantastic destination for all adventurous types as you can go caving and hiking there, climb close to a waterfall and take a helicopter ride over the glacier. We chose a very low-key option: we merely walked to one of the arms of the glacier, called Briksdalsbreen. When you get closer to Briksdalsbreen, you are surrounded by towering mountains, and the views are breath-taking. From the moment you arrive at the parking lot you need to have your camera ready, and no number of tourists could damage the experience. The magnitude of surrounding you mountains makes humans tiny and unobtrusive. The powerful sound of roaring waterfall drowns all other sounds. You start your hike at the Mountain Lodge and either take the 3 km long walk up - the path is wide and even but requires some energy to spend. If you can't walk much, you can buy a ticket for the electric carriers - "Troll cars" to take you up. The walk is fantastic. I know I already mentioned the views, but it's just mind-blowing how beautiful the views are. We naturally focus on the glacier ahead of us, but wherever we turn the landscapes deserve our attention. One of the biggest attractions on the way is crossing a bridge over the river made of the melted glacial water. The bridge itself is nothing special - it's the tall waterfall that makes it unique. The river falls with great might, and there is no way you can walk there without getting soaked with the water spray from it. I was lucky to be there on a lovely warm summer day - but it might be less pleasant on a cold and windy day, so be mindful of the weather when you go there. Part of the waterfall tumbling down is constant rainbow stretched across the bridge. Sometimes you can even see a double arch! It's such a great view, and the experience is truly exhilarating! As we walk, we can also see fascinating results of the geological lab that is a glacier. There are potholes (“jettegryte” in Norwegian, which comes from the word “jette” - “troll”), which are round or oval depressions in bedrock. They are created by meltwater and under high pressure and stones, which act as abrasive material making the walls of a pothole smooth and polished. Most of them date back to the last Ice Age (about 10k years ago). Other interesting geological formations are glacial striae. Much younger than the potholes, they were formed during the Little Ice Age - in the mid 18th century. When the Briksdalsbreen moved, the stones and rocks embedded in it worked like huge sandpaper on the massive bedrock. We can see the sign of this movement very clearly. When you reach the top, you see the most magnificent view. There is a small glacial lake, which water is the fascinating color of milky sea foam. Absolutely stunning! The narrow valley is surrounded by 1200 m tall rocky walls with the glacial arm plummeting vertically down. You can see bits of the glacier's crown also on other parts of the rocks. The arm of the glacier might not seem all that imposing. The glacier has been receding steadily since the Little Ice Age - when you walk the path you can see markers stating how far the glacier reached at a particular point in time. And although the Little Ice Age seemed quite a long time ago, it's striking how much it receded in only the past century. At the moment there is a risk of this glacier arm breaking off the main Jostedalsbreen Glacier. For this reason, it's worth visiting the place now - when you can still see something. Book your stay in the area and enjoy the views for longer! You can see more of them (or order prints) at my Gallery! My friend who I went with, said that she was there about twenty years earlier and she recalled the glacier being much more massive, reaching the ground and stretching to the sides. Because of its nature, you can't do ice climbing or glacier hiking from this spot. It's dangerous to get close to it, and barriers are showing how far one can get. My friend told me to make the warning clear and serious - people actually died because they ignored barriers and got too close to the glacier. Don’t be that tourist and stay on the correct side of a barrier even if it “looks” safe to cross. If you would like to do some exciting glacier walking, check out the Tystigbreen Glacier. If you feel like doing some serious hiking, there are a few trails from which you can choose. Just make sure you are ready to go up more than 1000m! The reward for the climb is stunning views of the glacier valley. There is also trail starting in the Melkevoll camping, which is said to be a bit easier. But it still requires some proper power in your calves. After you walk around and take a crazy number of photos (or is that just me? ), you can stop at the restaurant in the Mountain Lodge for a good meal. I had a fish dish for lunch and liked it. Visiting the vast souvenir is also a must - we need to support the local economy, don’t we? And you have a chance to take a totally touristy photo with a giant troll, of course. On the maps below (from the fantastic site UT.no) you can see the topography of the area and one of the possible trails you can take - as you can see, it’s crazy steep, so should be attempted by experienced and fit hikers. On the map below you see clearly the path to the glacial lake at the foot of Briksdalsbreen. The trail you can see on the right starts before the main parking and Mountain Lodge. If you want to cherish the views for longer, you may want to stay at the camping in Olden. It's probably one in the most beautiful setting - you can see the glacier from there! If you go on a fjord cruise, check out their day trip options - many offer a trip to Briksdal. They dock at Olden and offer trips to see the glacier from there. I am really happy my friends took me for the trip, the place is truly breath-taking. All of it - including the way there. Window seat provides amazing views! Have you been to Briksdal to see the glacier? How do you remember it? Have you done any glacier trekking? Let me know! Check out a few useful things I picked for your next trip!